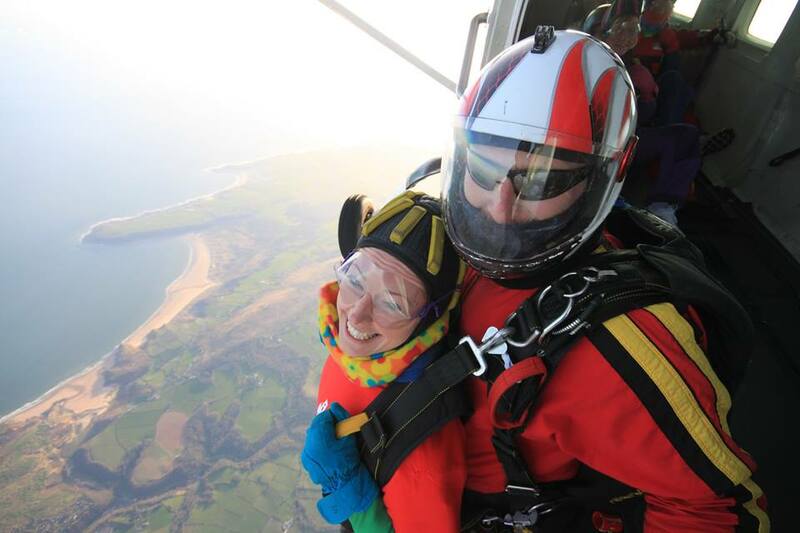 Hopping out of a plane for the homeless at Skydive Swansea. Caring in Bristol is a charitable company which delivers and develops vital support to homeless and vulnerable people all year round and I’ve previously written about my volunteering experience at the Caring at Christmas homelessness shelter as well as the Bristol Night Stop project which provides support for young people who are suddenly homeless or at risk of homelessness. Raising funds is vital in order to continue the work of the charity. 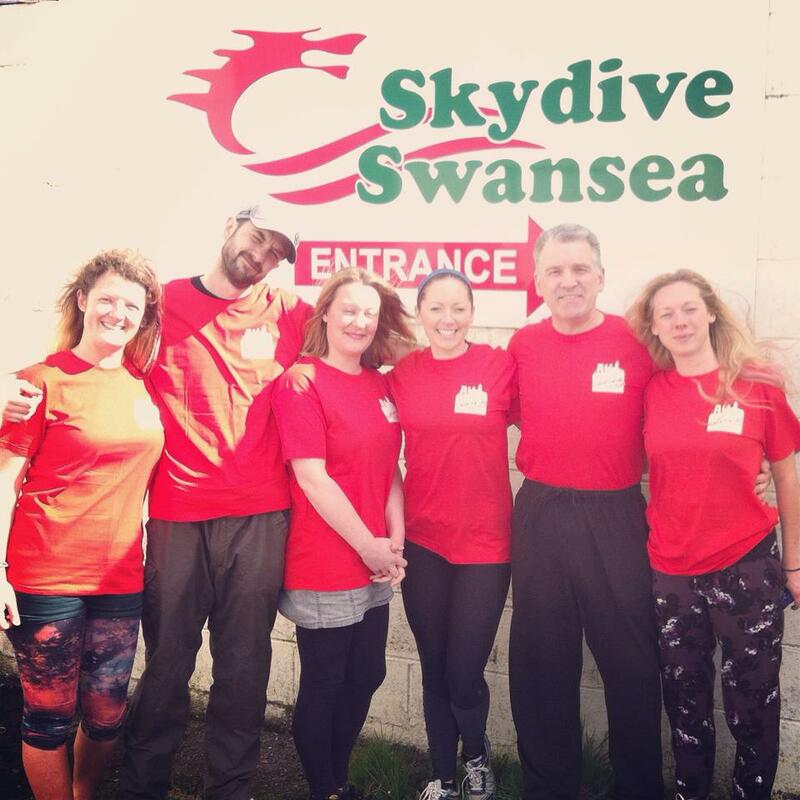 When a tandem sky dive with Skydive Swansea was suggested as the next team Caring in Bristol sponsored event I was convinced it was a big enough challenge to encourage people to donate to a worthy cause but was pretty anxious about undertaking what was personally a huge challenge. Having always been afraid of heights, as the days edged closer to the big event I became increasingly nervous and had a few sleepless nights thinking about my first tandem skydive. The nerves were shared by the rest of the Caring in Bristol skydive team (Emma, Ed, Phil, Julia and Lizzy) and there were plenty of scared yet excited faces when we assembled at the Skydive Swansea base. Our fears were put to rest on meeting the friendly and experienced crew and we were soon kitted out in brightly coloured jumpsuits and taken through a safety briefing. Whilst carrying an element of risk, skydiving is a safe regulated sport. Despite this it still felt reassuring to know that we would be attached by four points to an experienced instructor at all times. The parachute also had a remote sensor that would open automatically if it hadn’t been deployed once we dropped to below a certain altitude. Skydiving is a weather dependent sport and wind speeds and climate were monitored regularly to ensure the conditions were safe to jump. The briefing explained the process of a tandem dive and helped to make sure we followed the correct procedures for a safe flight/landing. After practicing a few simple skydive moves we were ready to fly. My heart was in my mouth as we all got into the plane. The ascent to 12,000 feet took 15 minutes but seemed longer as the features of the ground below became smaller until eventually we were in the clouds. In an instant the shutter door of the plane was rolled up and I could hear the roar of the 120mph wind and see the distant ground. It was jump time! One of the best moments of the skydive was the few split seconds before leaving the plane. Teetering on the edge and then dropping into the vast expanse of air below was a surreal, thrilling and powerful experience. 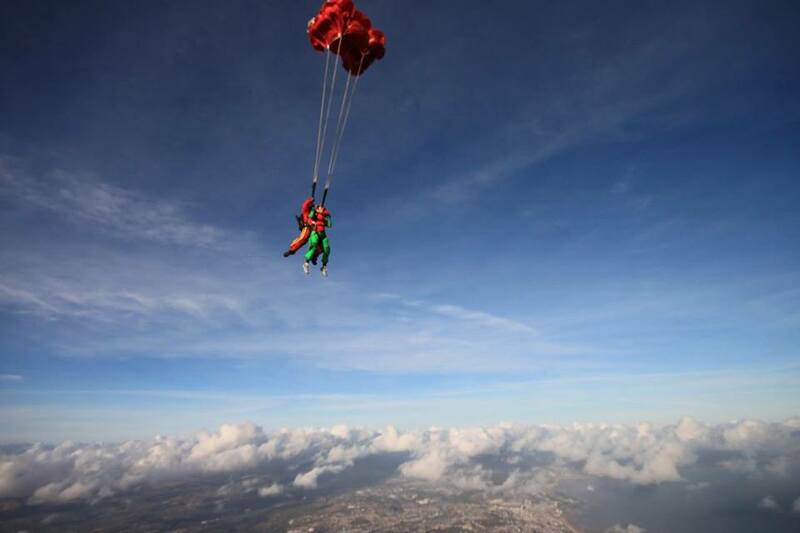 In free fall the wind felt fierce with the sensation of flying rather than falling. The adrenalin was immense and I think I forgot to breathe in all the excitement. Despite my nervousness, at no point during the jump did I feel unsafe and I was always reassured by my instructor Ricky that everything was going to be absolutely fine. Once the canopy opened we drifted peacefully to earth with a few swirly spirally moves along the way. I even got to steer the parachute! The views of the stunning Gower coastline were phenomenal and we were lucky enough to be blessed with sunshine and clear skies. Before I knew it we had safely landed back on solid earth and I was walking off of the airfield contemplating life in the clouds. I also wanted to keep in mind the reason we decided to take on the challenge. Before becoming a recreational sport, parachuting and skydiving were first developed by the military. Limited evidence exists, but some research suggests that ex-service personnel make up around 10% of the homeless population who can struggle with civilian life due to mental health problems, alcohol addiction, family breakdown or a lack of adequate support after leaving the services. Whilst I had the fantastic opportunity to sky dive I felt a need to acknowledge those people who were out there on the streets and had perhaps experienced skydiving and parachuting in a very different way. Perhaps the greatest thing I learnt from my skydiving experience was the art of possibility. Human flight has been imagined, explored, designed and pursued for generations. Conceivably then, what no better example than a playground in the sky to demonstrate the human ability to make the seemingly impossible, possible. 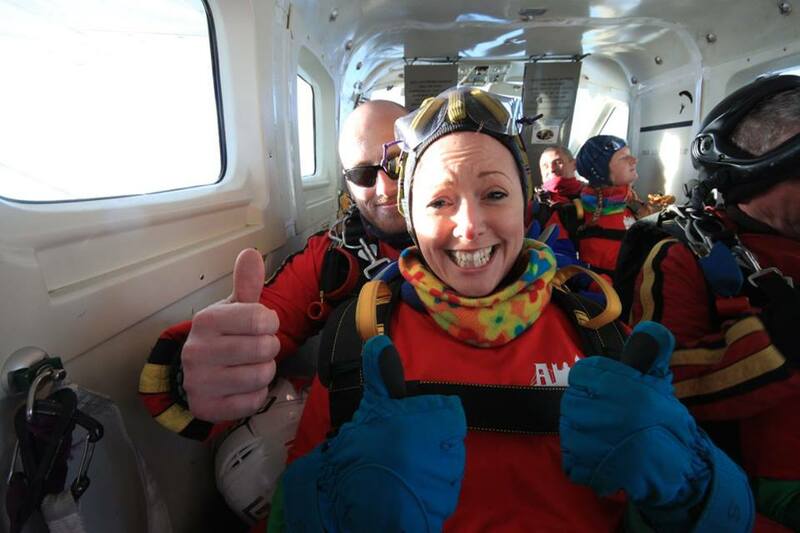 It’s unclear what the next fundraising adventure will be for team Caring in Bristol but it will be hard to top our skydiving experience. Together we confronted our fears, took on the challenge and raised over £2000 to help homeless and vulnerable people in Bristol. I would like to thank everyone who sponsored me and enabled me to take part and to everyone at Skydive Swansea as well as the other Caring in Bristol skydivers for such a fantastic day. Skydiving was an amazing experience one which I would highly recommend. I’ve since caught myself looking up at the sky, remembering what it felt like to be a part of it. I don’t think the sky will ever look quite the same again. You can still donate to the team Caring in Bristol ‘hop out of a plane for the homeless’ campaign via my Just Giving web page . 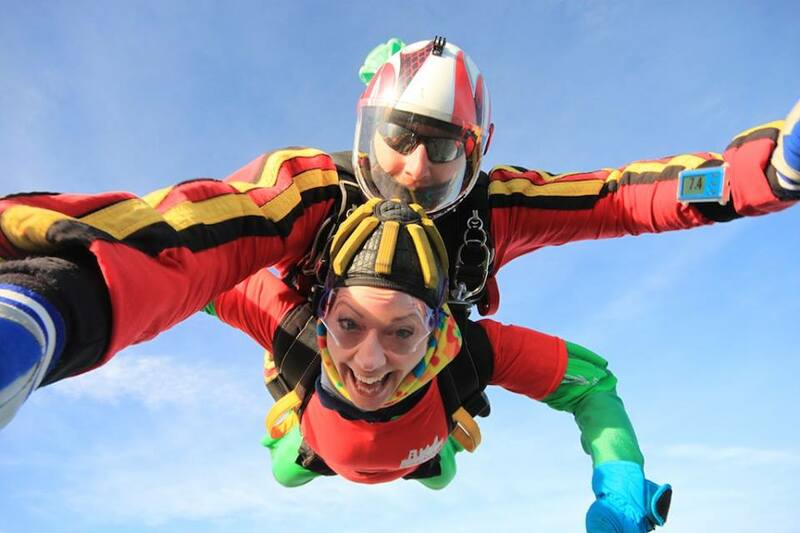 Photo credits: Tanya Quigley at Skydive Swansea. 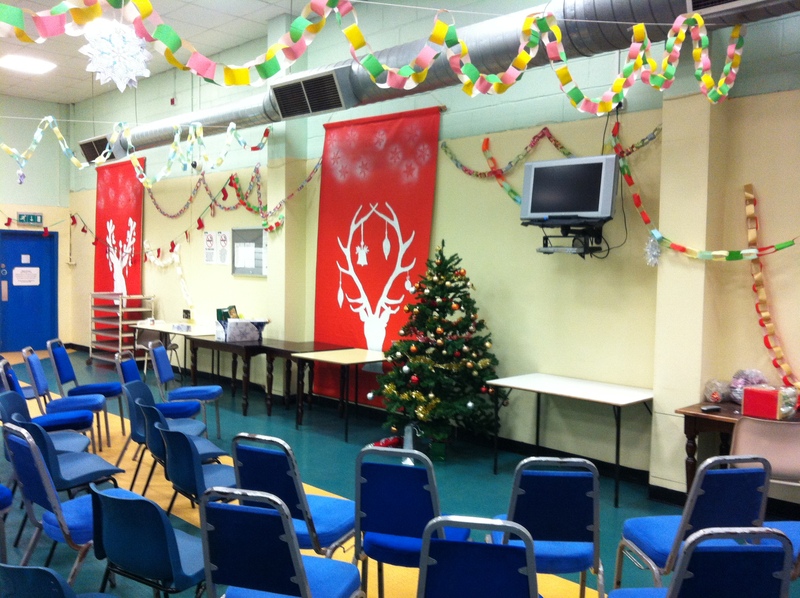 Caring at Christmas is a homeless shelter in Bristol, which provides people with warmth and safe accommodation over the Christmas period. My first experience of volunteering in 2011 left me let’s say, philosophical, about homelessness in the city and my contribution towards relieving it. After returning for a second time in 2012 I felt more optimistic. So what did my third year volunteering at the project yield? – an opportunity for growth. This year as well as being a general volunteer and gaining experience in different areas, I also undertook the responsibility of being a supervisor. It was an on-the job learning experience and at times I definitely felt my heart in my mouth. Despite this I left feeling like I had made a valuable contribution. So to keep up with tradition, here are a few thoughts on my third Caring at Christmas experience and why I value it so highly. Providing approximately 50 beds for homeless people as well as around 300 hot meals a day for residents and other guests the shelter operates over the peak Christmas period providing for Bristol’s homeless as other support services are reduced for the Christmas holidays. In many cases this is the only time a guest will have access to the same bed for 7 consecutive nights and are guaranteed a safe place and a hot meal for this length of time (not to mention the all important Christmas Dinner!). In addition, snacks, cakes hot drinks and entertainment and services are provided such as arts and creative activities, first aid, live music, companionship, counseling, showers and laundry service, hairdressing, footcare and recreational opportunities such as DVDs, pool, table football, ping pong, board games and jigsaw puzzles as well as the provision of clothes, toiletries, sleeping bags, blankets and rucksacks. 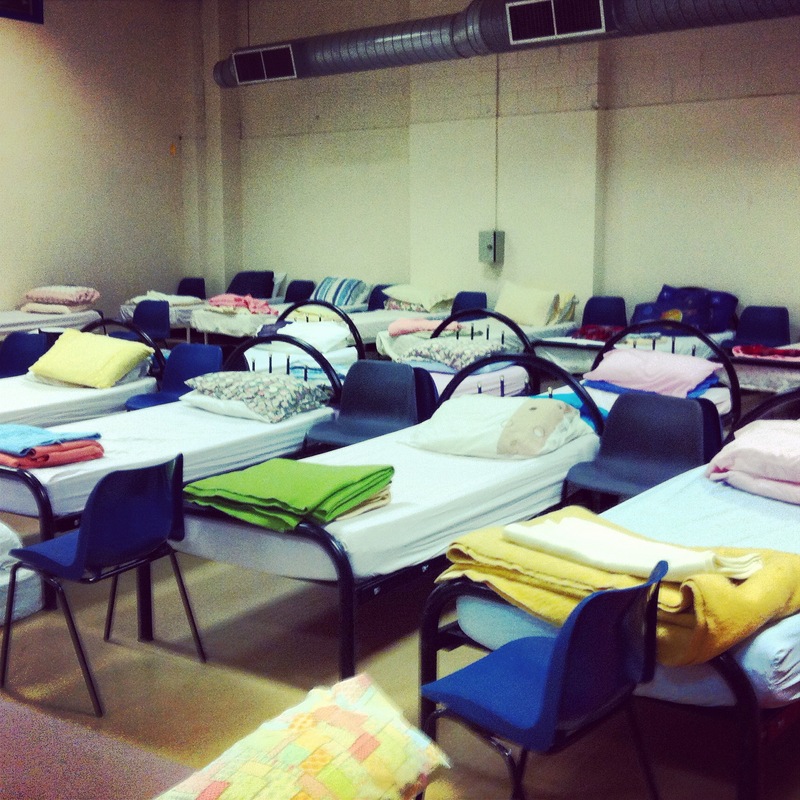 For the rest of the year the shelter is operated by the charity The Julian Trust who provide around 90 hot meals and 18 beds a night for 5 nights a week. Caring at Christmas also research and produce the survival handbook an annually printed resource and support services guide for the homeless or those at risk of homelessness in Bristol. Whilst having a core component of staff, approximately 700 volunteers support the charitable project and it’s funded by donations and contributions from a wide variety of sources including individuals, groups, schools, communities, companies and businesses. For me this year was slightly different as in addition to companionship and spending time with guests, I also gained experience and an insight into working the on staff door/donations, the kitchen, admin and working the night shift. Whilst I have previously been a general volunteer, to be in a position of responsibility and an identified person people sought in an emergency was a daunting prospect. There were always numerous volunteers on shift but the nature of the environment can occasionally be dynamic and this was in the forefront of my mind when I first applied. A supervisor assists the lead supervisor in maintaining the smooth running and safety of guests and volunteers at the shelter. This can be anything from answering queries, dealing with resource issues to assisting with first aid incidents, fire evacuation and managing conflict. Whilst professionally, I’ve previously been responsible for managing small projects, assisting directly in an operational capacity and being responsible for people, particularly those who could be described as vulnerable (or in a vulnerable condition) was a new situation for me. The shelter is an environment which demands that you be reactive and whilst there are regular tasks to be performed on every shift, it can also be difficult to predict what sort of things will happen each time. For the most part, the only way to learn is to turn up each day and gain the experience. I was fortunate enough to be in a supervisory team of three serving alongside experienced staff so I was never made to feel overwhelmed with the responsibility and always felt supported. I also took part in the St John’s ambulance first aid course that was offered and undertook the shelter’s own supervisory training session. During my time volunteering I had to draw on things I learnt during both these sessions, but even so, it’s hard to be fully prepared for the first time someone faints on you! It’s true to say it seemed there was less time to become absorbed in the individual stories and lives of the guests, less time for the fun or creative activities I’d become used to (although I did manage to squeeze in a few turns at monopoly and some clowning around at the ping pong table). Instead I began to gain an insight into what it takes to run a project, learn more about the experiences and expectations of the volunteers and begin to understand the resources, processes and vast numbers of people needed to make it all possible. Once again I was amazed at the generosity of so many donating time, abilities, money and resources to Caring at Christmas. It seemed that no matter whatever skills people had there was a way they could contribute, from local groups knitting clothes, to businesses and community organisations donating fresh produce, to individuals and groups contributing their annual secret santa presents or children sacrificing their months pocket money. I also got the opportunity to witness how Caring at Christmas has grown and developed over the past few years and how it continues to evolve. The need to be reactive is necessary not just operationally (working and managing more efficiently) but also organisationally (maintaining sustainability) as particularly so in times of austerity when the risk to charities which rely on donations can be a significant one. Additionally harder times will often mean there are even more people who rely on those organisations which meet a social need or provide a social service. The issues of homelessness are not unique to our time, however, the ways in which these can be addressed are always developing. One of the best things about working in an environment with volunteers is that people participate to honour a cause they believe in, help others or develop specific skills and its exactly that motivation and passion which forges an environment where innovation can happen. As ever the experience of Caring at Christmas perhaps illustrated both the best and worst of the human spirit. The shelter provides a glimpse into the existence of homeless people in Bristol, but after 3 years of volunteering I realise that beyond the immediate provision of food and shelter there is a lot more to understand about the complex nature of homelessness and the associated social problems that can be both a cause or a consequence, as well as the varied pathways and means to solutions (presuming that a solution is desired at all as this is not always the case for each person). Walking home from my shifts at Christmas, I discovered that there were others on the streets that chose not to stay or eat at the shelter, and I wondered why this was and how many others or ‘hidden homeless’ there were out there. 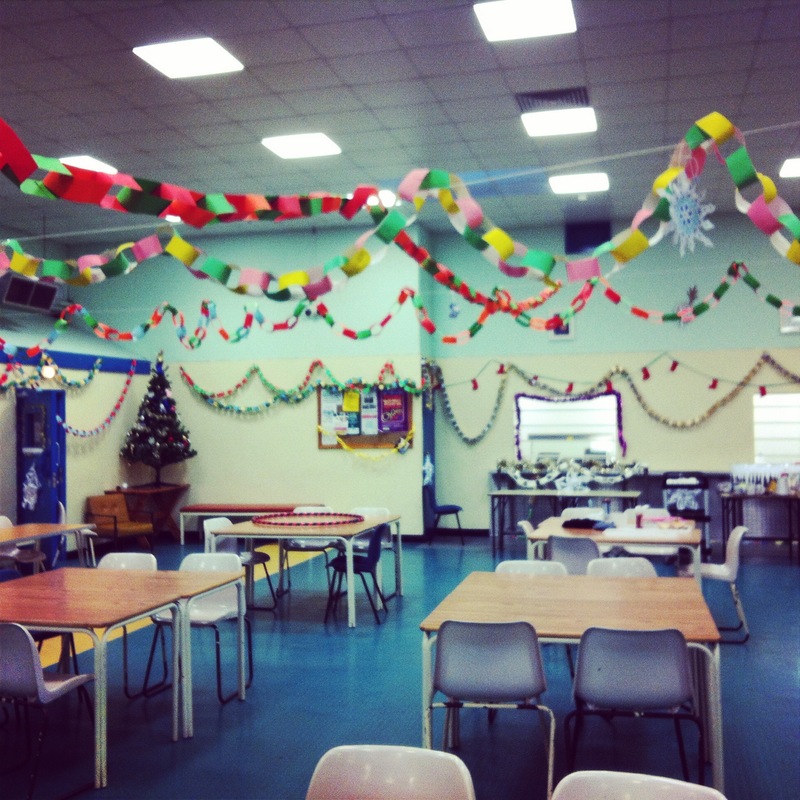 Whilst the Christmas spirit may be a motivator for many people in making a contribution to the shelter and there is a pragmatic need for additional support services over the Christmas period, the reality is for many of the guests is that homelessness persists all year round. So it follows that so does the need for support and services as well as the funds and volunteers to make them happen. The face to face shelter environment can be an intense one and for me its always necessary to take a few days after the experience to reflect on how things went, the stories I heard, the decisions I made and what I could have improved upon. My supervisory experience amounted to just two shifts but it was enough to install within me the significance of the responsibility, which is the main thing I will take with me from this year. No matter what training you receive in many ways to succeed in a dynamic operational environment there is simply no other way to learn other than working as a team, relying on others to guide you and doing the best you can. Whilst the Caring at Christmas shelter has now closed, the good news is that this year, the journey doesn’t end on January 1st. As Caring in Bristol (the shelter’s parent company) develops, there are further opportunities to get involved throughout the year, whether this is through fund and awareness raising, taking part in sponsored events, developing projects, skills and knowledge or gaining practical experience, all whilst working with a committed team and volunteers dedicated to making a positive difference and responding to homelessness as a community issue. I’ll be continuing the journey by, amongst other things, jumping out of a plane. 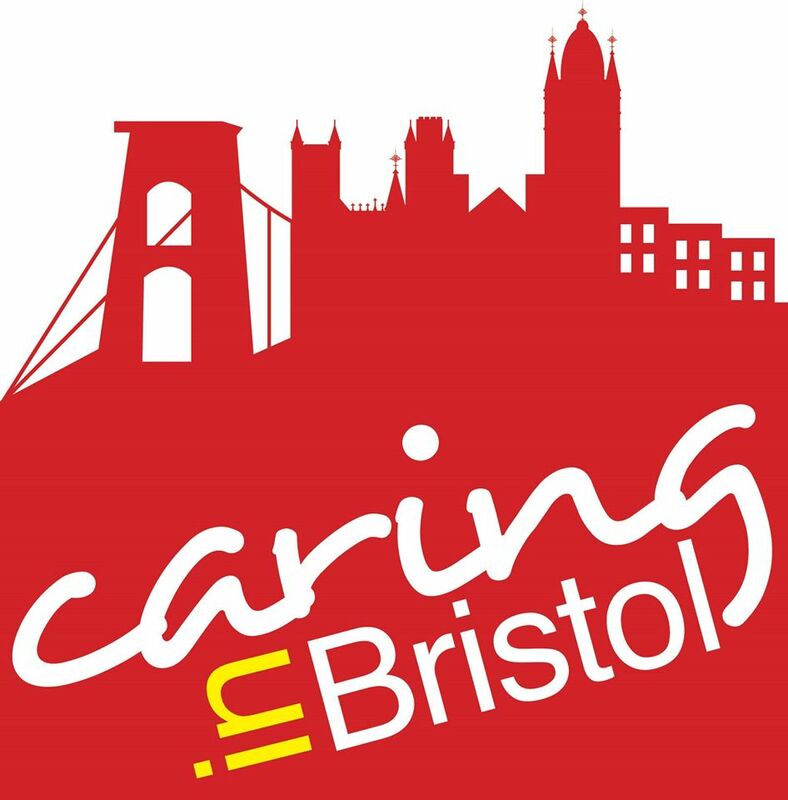 Caring at Christmas is a project by Caring in Bristol, a charitable company which delivers and develops vital support to homeless and vulnerable people all year round through effective, volunteer driven projects. Visit the Caring in Bristol website for more information and to find out how you can contribute. Originally written for Theatre Bristol Writers. The world of the magic shoe shop is a surreal and vivid one where the characters are wacky the tunes are uplifting and the dance is so infectious that even the queen gets her groove on. Harbouring some energetic dance moves and a secret ambition to be a top DJ the shoemaker is responsible for the shop and the customer order book yet unable to make shoes. He is pursued by the dastardly Mr Numbers who is intent on closing the shop unless the debt to him is paid. Happily, unbeknown to the shoemaker the shop is inhabited by jukebox dwelling elves with the ability to magic objects into brand new and beautiful custom made shoes using the power of music, movement and play. Through a variety of often spangley footwear creations the elves and the shoemaker transform the lives of the customers, culminating in a massive dance party finale as the enthusiastic audience are invited onto the stage to throw their own imaginative shapes on the dance floor. The magic shoe shop is often one of bling, sparkle and spectacle complete with glitter, baubles and silver jumpsuits but has the simplicity of play at its heart. This is no better demonstrated than in the opening five minutes as the children in fits of giggles watched whilst through ease of mime and movement a simple plastic sheet was repeatedly transformed into a number of comedy scenarios. This captured the imaginations of the young audience from the outset, who seemed as if quite convinced that this was the funniest thing they had ever seen. With a combination of disco, pop, rock, rave and dance floor anthems that only the grown ups will remember, the attention of the small people was held throughout and the kids were always eager to participate whether this be through cheering, dancing, clapping or bravely blowing a raspberry at the dastardly Mr Numbers. Despite being a few years above the recommend audience age range for this production I thoroughly enjoyed it. It’s often easy to disregard children’s’ theatre as being just for youngsters but this is a show that appeals to the fun and the silly in all of us. Its previously been said that children’s theatre is important not just for its direct entertainment or educational qualities but for its ability to remind us of the value of children and of their experience of the world. After a joyful morning with the magic elves this has been reiterated to me and it was inspiring to watch the bravery of the audience engaging wholeheartedly, dancing unselfconsciously, and making immediate sense of a sometimes surreal story or environment. The Magic Elves is a show that fizzes with vivacity and life and is an energetic tribute to the power of dance, gibberish and disco. Celebrating play, creation and the merits of good footwear it’s sure to get bodies moving and feet tapping all over Bristol this Christmas. Party on. It takes a leap of faith to follow a stranger into Leigh Woods at night. 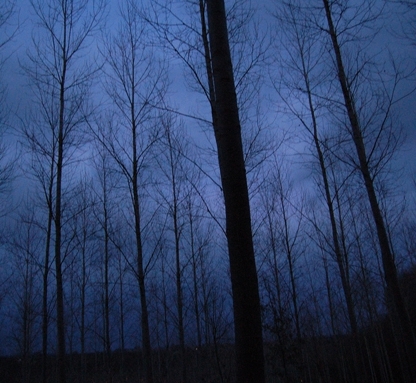 Often we are told that the darkness of the woods is to be avoided. When walking in darkness, the mind might lead you to ghost-like imaginings. Perception can be heightened in the darkness, sounds seemed more vibrant, smells more potent. The gift of Nightwalk was an opportunity to wander, listen and re-imagine. Nightwalk is a woodland journey through space and time where layers of sound create and connect previously unseen worlds. A choir sing a psalm, children play, bridges are built, arctic bees buzz and glaciers melt. The environmental, social and industrial history of Leigh Woods is brought to life through audio and text. At one point you can hear the world turning. The darkness was enveloping yet comforting, and the spectre like apparitions spotted were those of the participants illuminated by the screen of an i-phone as we listened to the performance through headphones. The lamplight serves to focus attention guiding the way, and at times highlighting small micro-moments of woodland life at others, illuminating a cathedral cavern of trees. Entering a clearing and looking up at the light from the night sky was beautiful and something that other cities can’t usually provide. The historical and geographical elements of Nightwalk made it difficult not to draw parallels with contemporary times – the performance made me think of the crisis of global warming and also how communities respond to events. Having walked across the suspension bridge to get to Leigh Woods hearing it being built really gave my experience a new dimension and it was definitely a different walk on the way back. I felt that there was sometimes a bit of tension between wanting to experience the sounds and the space and then reading the text on the iphone and having to balance looking up and out as well as down. However this also reminded me of this need in ‘everyday’ smart phone use in relation to really connecting with the outside or natural world. The performance left me with an enhanced sense of place and interest to explore the history of Leigh Woods. It emphasised the value and importance of Bristol’s natural environment and gave a memorable reminder of our human impact on the landscape. The performance provided an opportunity to walk and explore Leigh Woods in a way I probably never would have had. Walking in this way definitely leaves you with a sense of being blessed to live in Bristol and being part of something greater. Nightwalk is part of Mayfest Bristol’s unique annual festival of contemporary theatre and is happening on the 17th, 18th and from the 21st to the 25th of May. The Minotaur is a ferocious yet tortured beast that roams the depths of the labyrinth appeased only by the singing of his half sister Ariadne and by the deaths of 14 children sent to him by the King of Athens each year. Theseus is a hero on a journey of adventure and self-discovery – intent on moral good, saving the children and killing the Minotaur. The young audience were immersed in the action from the outset with the appearance of the Minotaur eliciting excited squeals and squirms from the children as it snuffled its way around the studio. As the drama unfolded the audience became further embroiled in the plot with most being very keen to take a place on the stage and the production successfully kept its audience entertained throughout. The action was accompanied by a spine tingling composition of live music and vocals, providing a bold and sometimes haunting atmosphere which contrasted well with the too few comedy moments, some hilarious cartoonish scenes and clownish antics. The world of the Minotaur is simply and effectively set with the actors working together to quickly and convincingly transform the space, taking the audience seamlessly from inside the lower labyrinth to the palaces of the upper world, journeying through forests and across seas. The play is a retelling of an ancient myth, however the story also offers some opportunity to draw parallels with events and contexts in more contemporary society. Theseus as a young man on a journey to find his place in the world perhaps speaks to us positively of young people growing up in changing and sometimes challenging times today. The Kings demonstrate differing political intents and the weaknesses or darker side of political leadership or institutional leaders. King Aegeus complete with dressing gown and paper cracker crown is a memorable picture of an often weak, bewildered and lonely old man longing for the return of his son. Through Ariadne we are perhaps shown the consequences of imprisonment and the bitterness and regret of the imprisoned, however it is the characters inability to remedy or influence her own situation (her imprisonment and freedom are determined solely by the men around her) that perhaps provides the most significant lesson. 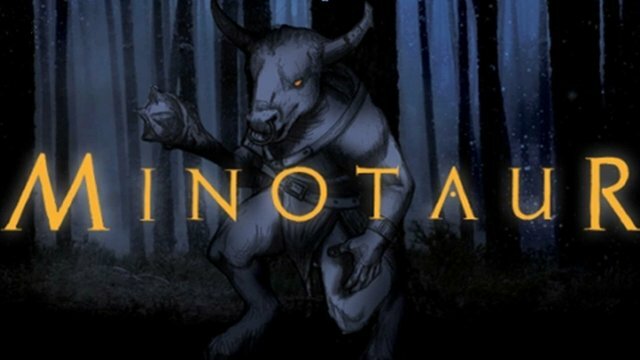 The Minotaur is a lively, intrepid and substantial piece of storytelling. It’s a show that will capture the imagination of audiences of all ages and is showing at Bristol Old Vic until the 9th of April. ‘Exposed’ by the Impulse Collective seeks to explore how impulses are restricted according to our internal or external factors. 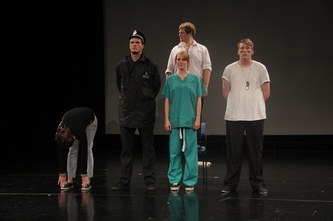 Using a combination of comedy, verbatim, physical theatre, projection and autobiography. Exposed is a rollercoaster ride through the confessions of those struggling with the suppression of their baser instincts, including a man who wants to scream in restaurants, a nurse whose had enough of her patients and a woman who wants to shake her baby. The Impulse Collective have created a fast paced, slick, thought provoking, sometimes surreal and often funny production, that whilst having lighter moments by the end left me feeling a bit like I’d been the one dowsed in cold water and that it had only explored a small aspect of a higher, more complex and hopeful side of the human story which we never got to fully hear about. The drama (and there was a lot of it) unfolded quickly through lots of contrasting, movement pieces, some shouting, a bit of screaming, moments of intensity and high emotion as the characters shared their frustrations and compulsions with the audience and each other. The cast worked well as an ensemble delivering the show with energy and commitment and whilst this is not the kind of work I would normally choose to see (this type of theatre can sometimes remind me of my own drama student days) I certainly wasn’t bored, and ‘Exposed’ is a show that will keep you thinking the day after. The production often sought to reveal a darker side to human nature, but overall I’ve really been left with thinking that the ability to have control over our impulses is perhaps also what makes us uniquely human. There is always a choice to follow a compulsion – to act or react at any given time in any given moment. The choices we make also have consequences. It is the consideration of these choices, consequences and how they are framed which are also equally worthy of consideration. For the past few months I have been one of a team of people reviewing theatre shows in Bristol as part of Theatre Bristol’s Writing in Residence project. We recently had our first public meeting to talk about all things performance-related in the city. There was some good discussion and debate. I first became involved in theatre through watching work and writing about it. As with most things you often ask the question: Why bother? So here’s a bit more about what was discussed at the meeting, what theatre reviewing is and why I think it’s a good thing. Reviewers are writers. Writing starts from a place of personal passion – this could be about the theatre work being made, writing itself and/or the city that it is situated in. 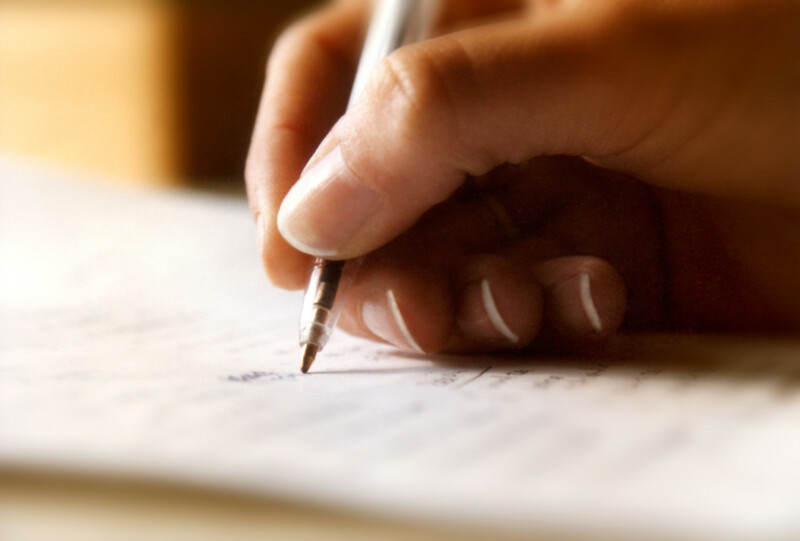 Regardless of the approach of the writer, reviewing is a creative process. Theatre reviews start and connect conversations and people- they can build bridges between audience, makers, theatre communities and venues. They raise awareness and provide a written response to the work, acting as a source of feedback for artists, companies and makers as to how their shows have been received. All artists need feedback on their work, and reviews can extend the conversation beyond the performance – whether this is about the performance, the process behind it or the themes and issues of each particular show. Reviews via social media can create an open platform for debate and discussion about theatre to which anyone can contribute – from enthusiastic audience member to the professional performer. They can also serve to strengthen the existing theatre community. Reviews have an afterlife providing a historical account of the performance as it was experienced. They can be read as a source of contextual information such as a reaction to the cultural or political issues/ideologies at the time revealing broader information about the show, how it was received and how it was programmed by the venue. They can also be used as an indicator when making decisions to program future work or used by makers for quotes about the show to promote to audiences. Theatre reviews are also valuable to theatre practice and practioners as they can be helpful in determining where their work sits in the world and can help situate the work in the wider artistic landscape. They can inform the development of a piece of art/theatre and all responses may be complicit in the shaping and sculpting of new and existing work. Another advantage is learning. Following an individual artist or companies work can provide shared knowledge on both sides as the work and the writing develop. Certainly for me critical writing is also a way for the writer to articulate their own response and thinking around a work. In-depth reviews or critical writing pieces can also serve to widen perspectives and open people up to new possibilities, whether that’s considering how things can be interpreted or encouraging and promoting more interest in theatre and theatre-going. The traditional theatre reviews have been associated with a specific format and published in broadsheet newspapers. Social media means this format is changing, and it can often be down to the individual writer as to how they position their own writing… it could be – theatre criticism, critical writing, review, response, praise, feedback, judgment, reflection, assessment, analysis, entertainment, art – even a tweet can be a review. Ultimately, I think a review should be the start of a conversation between a range of different people about a piece of work. In the case of specialist websites or professional publications, it’s also worth remembering that the type of review written will often be indicative of who it is being produced for i.e what type of publication, where it is published and the specific publication/commission requirements. This also will have on an influence as to how it is received and its ‘reach’. Reviews can happen instantly via blogs and Twitter etc which is a format that can have greater influence with the general public and possibly be more accessible to non theatre going audiences or people outside of the theatre community. There are several existing established theatre critics whose work have a national following and whose influence/review can impact on the future life of a show. However anyone can join the conversation as social media has given an open platform to anyone that wants to comment on or review work. The established experts are now situated within a multiplicity of voices. Ultimately a reviewer is someone who has responsibility for the feedback they give. They have the opportunity to be transparent, authentic, engaged and deliver critique or response that is considered, analytical, constructive and which acknowledges its own subjectivity as far as possible. The review is as much a reflection of the attitude of the writer as it is about the work being reviewed. I really feel that there are equally many benefits to reading personal perspectives blogs or tweets from new writers/theatre goers, or hearing opinions of those from different backgrounds or with no knowledge of theatre as there are to receiving critique from an expert and experienced peers. I think every response has value in it in different ways. I’m learning all the time and as my own writing has developed I’ve obviously experienced some of the problems that inexperienced writers can encounter. It’s all a learning process though. If I was going to give advice to new writers, some good writing advice I heard recently that I think is worth sharing went something like this: ‘It is essential to write in the way that you want and from your own perspective, whatever that is. Not to be afraid of your own experience and background as it will be valuable in informing your writing and how you see the world’. ‘Monkey Bars’ by Chris Goode and Company at The Tobacco Factory Theatre. Out of the tick box and into the grey…move over darlings we’re 50 shades of gay – celebrating LGBT month, diversity, sexuality and pondering the consequences of silence. Clown jam – down at the farm..
Breadline Britain – The lunch club. Why I couldn’t become a Dr without being a clown first – Flying Awkwardly 2.0 – 2 years in the life of a PhD student. A trip on the Mayflower.. Flying awkwardly: a year in the life of a first year PhD student.